The high-spec Astra offers lots of bells and whistles. But does it have the substance to impress our motoring correspondent? I was excited by the prospect of testing the Vauxhall Astra Elite Nav. The last Vauxhall I drove before that was the same spec Insignia, which I took on a photo shoot around the North Coast 500 in Scotland. After spending around 18 hours behind its wheel for four consecutive days, I concluded that it was one of the comfiest vehicles I’d driven. I even contemplated choosing one as my next company car. So when I received the press booking for the Astra, my hopes were high. Here was a cost-effective vehicle that promised bags of spec and a gutsy 150PS engine with real-world fuel consumption that can top 50mpg. Based on the quality I’d experienced in its big brother, I thought it would prove a winner. Alas, within a few minutes of plonking myself behind its steering wheel, my optimism faded. It’s not that the Astra is an unpleasant place to be. 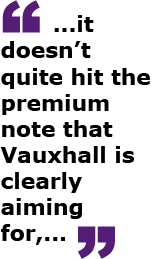 But it doesn’t quite hit the premium note that Vauxhall is clearly aiming for, especially with this Elite-spec variant. 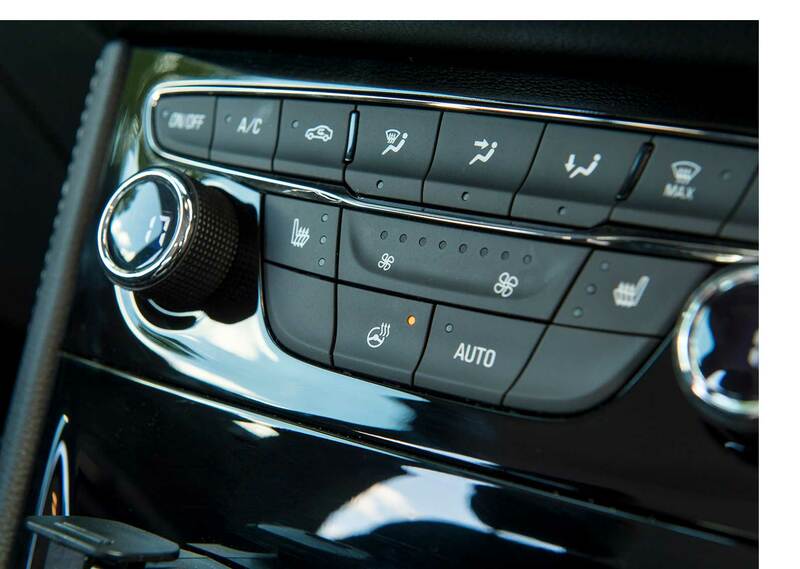 The centre console is a mass of fiddly switches promising all sorts of riches: a heated steering wheel, three-mode heated seats, climate control, DAB digital radio, infotainment, sat nav, on-board cappuccino maker, holographic dancing girls, and so on. Actually, I made up those last two, but you get my drift. Even with all the bells and whistles, the Astra can’t help but feel a little low rent against rivals such as the Volkswagen Golf, SEAT Leon, and Skoda Octavia. Even the long-in-the-tooth Volvo V40 is appealing by comparison, not least because the switchgear will feel just as solid in three years’ time as it does out of the box. The same can’t be said of the Vauxhall. My biggest bugbear is the quality of plastics used on the door inserts. If you’re paying for a brand-new high-spec motor, I think it’s fair to expect something better than the sort of plastic most commonly seen on kids’ toys. Cheap doesn’t even come close. Where the Astra scores well is performance. Get the turbo buzzing on that petrol lump and you can easily entertain yourself on a twisting country lane. It’s not quite a GTI (there’s a 1.6T 200bhp version for those who want real performance), but it’s certainly enough for most drivers. The ride is pretty good, too. At slow speeds, the Astra can feel a bit twitchy over potholes and uneven asphalt. But put it on a flat piece of motorway and you feel as if you could cruise all day without breaking sweat. 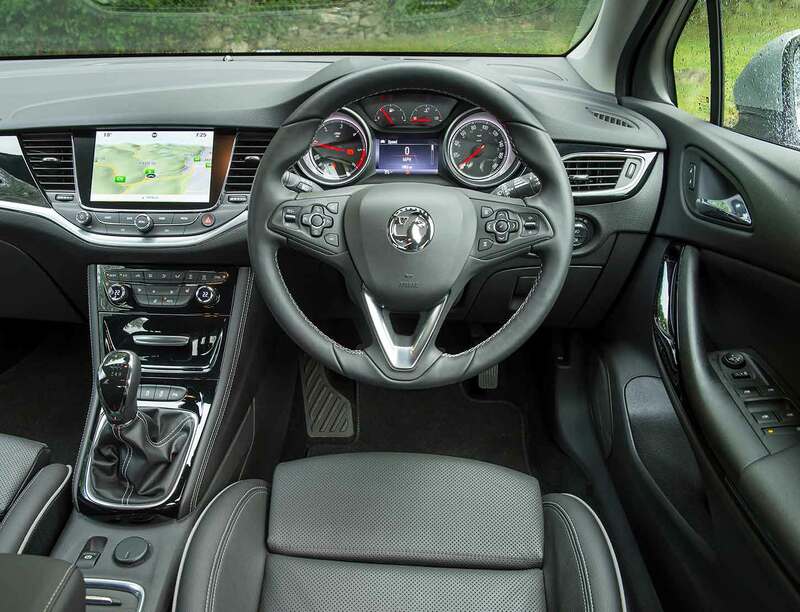 When Vauxhall launched this generation Astra a couple of years ago, it made a big deal of its interior space. Compared to the model it replaced it was lighter and smaller on the outside, but far roomier for occupants. The result is ample head and legroom for front and rear passengers alike. But oh!, those seats. The leather-clad fascias look sumptuous and inviting, which only adds to the sense of disappointment when you settle onto something with all the comfort of a park bench. The back feels too upright, and it’s a job to believe there is any padding in the base at all. Herein lies the rub with this car. From a distance, it looks as if it has everything to please a discerning buyer. Pound for pound, it offers far better value than the prestige brands mentioned above. But once you get near, you realise there’s a reason for the premium charged by the likes of VW. Spending time with the Astra is a bit like discovering the Prada leather jacket you’ve been admiring on the internet is actually a PVC coat from Primark. It looks the part from afar, but simply doesn’t have the quality to match. Still, if you’re working on a budget and want to maximise your spending power, the Astra is worth a look. For my money, the Golf or V40 are better options, even if you sacrifice a few toys along the way. But there’s clearly a market for what the Astra offers. Just look at the success of Primark. Tim Gibson has written about cars for 25 years. His work regularly appears in The Daily Telegraph and other national media.